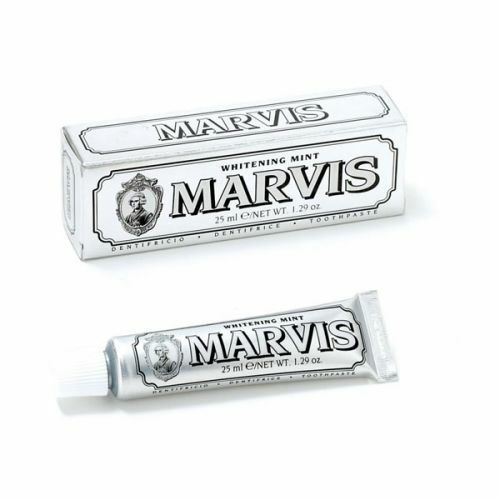 Manufactured in Italy, the Marvis Whitening Mint Toothpaste has been crafted using traditional methods. 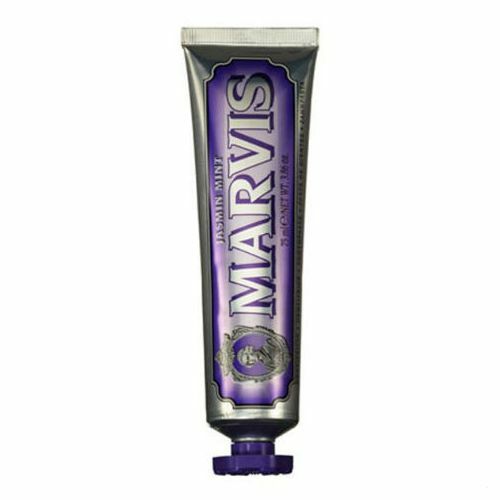 The powerful formulation boasts a creamy base that glides easily over teeth to break down the build-up of plaque and tartar. Working to effectively lift surface stains and leading you to a brighter, dazzling smile after repeated use, it has a cool and refreshing flavour created by natural mint leaves. With its non-fluoride based blend, it is an effective tool against tooth decay and leaves you with fresh breath all day long. Packaged within the brand's unique retro-inspired packaging, substitute Marvis for your existing brand today. Glycerin, Hydrated Silica, Aqua (Water), Tetrapotassium Pyrophosphate, Aroma (Flavour), Xylitol, Titanium Dioxide, Sodium Lauryl Sulfate, Cellulose Gum, Sodium Saccharin, Sodium Fluoride, Limonene, Eugenol. 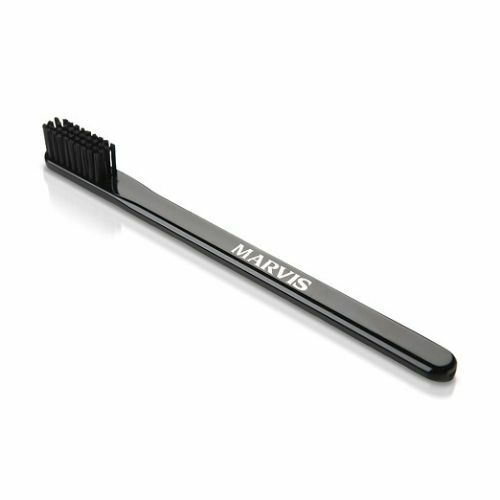 Use morning and night with a soft-bristled toothbrush. Don't rinse your mouth after washing. Try to use your mouthwash at a different time of the day to brushing. Still my favourite after trialling others. Got my whole family on this now. Works a treat, feels incredible, totally refreshing, and DOES whiten teeth.